NOTE: Iʼm not a designer. This is what iʼve self-learnt over the years because i couldnʼt afford good designers. I donʼt know if this is scientific. This works for me. I hope it works for you. I think you already know that a color is represented by a 6 digit code (hex code) containing any permutation of the the six alphabets a,b,c,d,e,f and the nine numbers, 1,2,3,4,5,6,7,8,9. The hex codes i use and describe here are the ones i chanced upon over the years. They are easy to remember and i donʼt need to keep referring to any color picker tool. The colors above are the softer side of their darker variants. The darker colors (for example the darkest red is ff000) are harsh on the eyes and are best avoided. Text is usually dark (blacks). Here also i tend to avoid the darkest darks (full black is 000000). I like the colors below because they give me a nice dark blue tint. The codes are also easy to remember. 1a2a3a is darker and you can go all the way to 7a8a9a which is lighter. These are usually grays (or ʼgreysʼ if you insist). Mostly used for backgrounds, table header or table row colors, lines, and, occasionally for text. These hex codes are the easiest to remember. Thatʼs all there is. Once you get a hang of this it becomes easy to play around and arrive at colors that you like better than what are presented here. I recommend https://colorhunt.co/. First of all, thanks for taking time to set the background color for your web pages and form elements. The light grey or is so much more pleasant than the default glaring white color. What about the Dropbox login form? You get the idea. The cases Iʼve shown here either set the background color without setting the text color, or vice versa. * Add yet another /* TODO */ in your codebase and call it a day. JK :-). See the best free to download photos, images, and wallpapers by Norbu Gyachung on Unsplash. See the best free to download photos, images, and wallpapers by Artem Maltsev on Unsplash. May God Bless You, Mr. Watson. And May God Bless Your Children and Your Children’s Children. A 21st century #GalileoGalilei: American biologist #JamesWatson, who won the #Nobel prize for his #discovery of #DNA, is being burned at the stake for his refusal to back down from #science. This man literally discovered #DNA. But he is #evil now, because he #thinks the #difference in #white and #black #DNA accounts for the difference in #performance. #JamesWatson is falling on his sword – all the way on his sword – in the name of #truth, #science, #justice and the #future of the #white #race on planet #earth. He is also doing a #secular version of the #Christian concept of “building treasures in #Heaven.” He knows that he will #die with people believing in the #bizarro world #religious #doctrine that “race is a social construct.” But he also knows that after his #death, the order of #truth will be restored, and he will stand #vindicated. After all, the #idea that all #races are exactly the same (save for #skin #color, #bone #structure, #brain #size, etc.) is a #doctrine that only existed in the heads of a few #Jews at #Columbia when he was born in 1928, and would have been laughed at anywhere outside of the #humanities departments of #universities when he was making all of his #scientific #breakthroughs while in his twenties and thirties. In fact, the issue did not become #controversial until 1994, when #TheBellCurve was published. And there was a gigantic discussion of the issue in #academia at the time, and no one who sided with #biological #science was #witch-hunted and burned at the stakes as #Watson has been. The Bose SoundLink Color Bluetooth speaker comes in 5 different colors: blue, mint, red, white, and black. In the box is the speaker with a built-in rechargeable lithium ion battery, a wall charger, and USB cable. The majority of the casing is made of a strong plastic, while the top has a soft rubberized finish, making it both durable and simple. Different sunset and night scene on Mêlée Island in the EGA version of Monkey Island that is missing from the VGA and all other versions. Same art resource, just different color palette. The International House of Mojo: LucasArts, Double Fine, Telltale, Ron Gilbert, and more! jabcode - color bar code. Contribute to jabcode/jabcode development by creating an account on GitHub. Adapted from our upcoming book and video series, Refactoring UI. Ever used one of those fancy color palette generators? You know, the ones where you pick a starting color, tweak some options that probably include some musical jargon like "triad" or "major fourth", and are then bestowed the five perfect color swatches you should use to build your website? You canʼt build anything with five hex codes. To build something real, you need a much more comprehensive set of colors to choose from. You can break a good color palette down into three categories. Text, backgrounds, panels, form controls — almost everything in an interface is grey. Youʼll need more greys than you think, too — three or four shades might sound like plenty but it wonʼt be long before you wish you had something a little darker than shade #2 but a little lighter than shade #3. In practice, you want 8-10 shades to choose from (more on this later). Not so many that you waste time deciding between shade #77 and shade #78, but enough to make sure you donʼt have to compromise too much . True black tends to look pretty unnatural, so start with a really dark grey and work your way up to white in steady increments. Most sites need one, maybe two colors that are used for primary actions, emphasizing navigation elements, etc. These are the colors that determine the overall look of a site — the ones that make you think of Facebook as "blue", even though itʼs really mostly grey. Just like with greys, you need a variety (5-10) of lighter and darker shades to choose from. Ultra-light shades can be useful as a tinted background for things like alerts, while darker shades work great for text. On top of primary colors, every site needs a few accent colors for communicating different things to the user. Youʼll want multiple shades for these colors too, even though they should be used pretty sparingly throughout the UI. If youʼre building something where you need to use color to distinguish or categorize similar elements (like lines on graphs, events in a calendar, or tags on a project), you might need even more accent colors. All in, itʼs not uncommon to need as many as ten different colors with 5-10 shades each for a complex UI. When you need to create a lighter or darker variation of a color in your palette, donʼt get clever using CSS preprocessor functions like "lighten" or "darken" to create shades on the fly. Thatʼs how you end up with 35 slightly different blues that all look the same. Instead, define a fixed set of shades up front that you can choose from as you work. So how do you put together a palette like this anyways? Start by picking a base color for the scale you want to create — the color in the middle that your lighter and darker shades are based on. Thereʼs no real scientific way to do this, but for primary and accent colors, a good rule of thumb is to pick a shade that would work well as a button background. Itʼs important to note that there are no real rules here like "start at 50% lightness" or anything — every color behaves a bit differently, so youʼll have to rely on your eyes for this one. Next, pick your darkest shade and your lightest shade. Thereʼs no real science to this either, but it helps to think about where they will be used and choose them using that context. The darkest shade of a color is usually reserved for text, while the lightest shade might be used to tint the background of an element. A simple alert component is a good example that combines both of these use cases, so it can be a great place to pick these colors. Start with a color that matches the hue of your base color, and adjust the saturation and lightness until youʼre satisfied. Once youʼve got your base, darkest, and lightest shades, you just need to fill in the gaps in between them. For most projects, youʼll need at least 5 shades per color, and probably closer to 10 if you donʼt want to feel too constrained. Nine is a great number because itʼs easy to divide and makes filling in the gaps a little more straightforward. Letʼs call our darkest shade 900, our base shade 500, and our lightest shade 100. Start by picking shades 700 and 300, the ones right in the middle of the gaps. You want these shades to feel like the perfect compromise between the shades on either side. This creates four more holes in the scale (800, 600, 400, and 200), which you can fill using the same approach. You should end up with a pretty balanced set of colors that provide just enough options to accommodate your design ideas without feeling limiting. With greys the base color isnʼt as important, but otherwise the process is the same. Start at the edges and fill in the gaps until you have what you need. Pick your darkest grey by choosing a color for the darkest text in your project, and your lightest grey by choosing something that works well for a subtle off-white background. 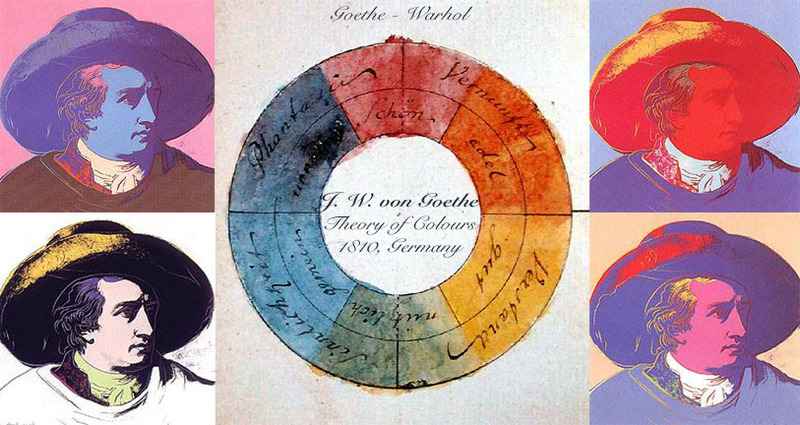 As tempting as it is, you canʼt rely purely on math to craft the perfect color palette. A systematic approach like the one described above is great to get you started, but donʼt be afraid to make little tweaks if you need to. Once you actually start using your colors in your designs, itʼs almost inevitable that youʼll want to tweak the saturation on a shade, or make a couple of shades lighter or darker. Trust your eyes, not the numbers. Just try to avoid adding new shades too often if you can avoid it. If youʼre not dilligent about limiting your palette, you might as well have no color system at all.